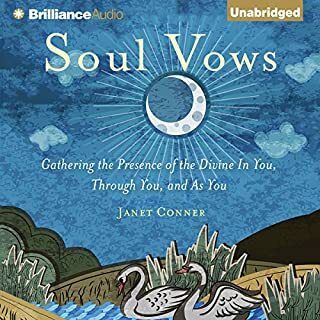 If you long to know your soul's purpose, Soul Vows is an ideal place to begin. Your soul vows describe how you choose to walk this earth, in every moment of every day. They are how you receive and spread grace. As you live your soul vows, you become a fertile container in which your purpose can take root and prosper. This book is deep, nurturing and inspiring. Must read!! 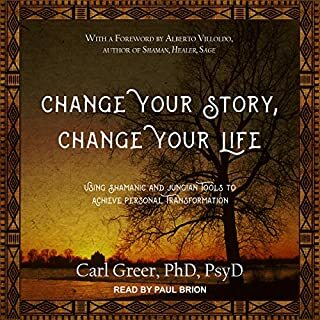 This audiobook is for highly sensitive people who have felt out of place in the modern world. It provides a narrative that describes how they fit into a lineage of creatives throughout history. 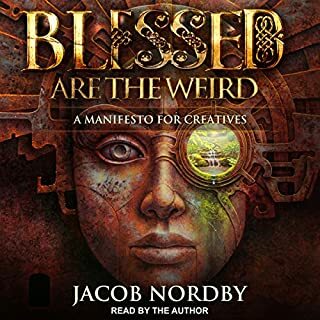 Jacob Nordby offers a bold new definition of success in the modern era. "The only success now is living and creating a work-of-art life: unique, rich with meaning, naked of anything we don't care about, and ruthless about carving out something absolutely real from a world that has gorged itself on fakeness and become critically ill from it." You could pray, or meditate, or dream, or visit a shaman, or a minister, or a hypnotherapist. With so many routes into inner consciousness, why write? Of all the ways to get in touch with God, as you understand God...to hear the small, still voice pointing you in the right direction...why take the time to write? Today, research scientists in psychology, physics, biochemistry, and neurology are providing peeks into what consciousness is and how it works. Their findings give us intriguing clues as to what is actually happening in and through our bodies, minds, and spirits as we roll pen across paper. Writing Down Your Soul explores some of this research and instructs listeners how to access the power and beauty of their own deepest selves. 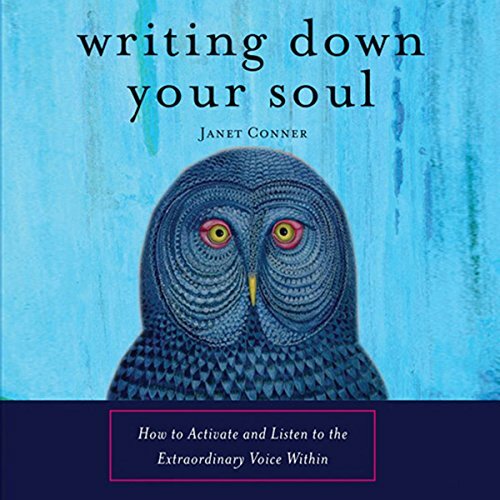 ©2008 Janet Conner (P)2012 Audible, Inc.
Would you listen to Writing Down Your Soul again? Why? I definitely will. I think I will read this one once a year or once every couple of years as a refresher. 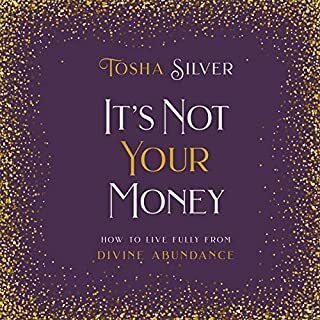 This book is a testimony to what keeping a soul journal can do for you in your life and I think regular reminders will be great for my growth as an individual and to help me with my future struggles. I am a writer and the more diligent I am with my soul writing outlined in this book, the more fluent my other writing tends to be. I absolutely recommend this book, not only to writers but for anyone who would like to see great changes in their life. What other book might you compare Writing Down Your Soul to and why? She references the Artist's Way by Julia Cameron (another great read). Both books have extremely effective means of working through writer's block (something I have struggled with). I really liked that the story was read by a woman, since it was Janet's story.I could empathize with what she went through and I felt that Jane Cramer did a good job in expressing appropriate emotion in telling Janet Conner's tale. Good Performance. Thank you Janet for sharing your story! Would you try another book from Janet Conner and/or Jane Cramer? Would you ever listen to anything by Janet Conner again? Less about the many details of her personal traumas even thought she did have a terrible husband. But the book, as far as I could listen, was more about her life and what SHE wrote rather than how to use writing to solve problems or help to cope with them. It certainly didn't inspire me to take up her method. What character would you cut from Writing Down Your Soul? All the characters were real, so they couldn't be cut out if she wanted to tell her life story and how she wrote. But it was a bit self-focused so she was the only "character" that dominated the book. But how can you get rid of the author? More gentle and diverse methods of writing or some interaction with others' (her students) ways of using her system that worked would have appealed more. Her commanding voice didn't help, either. 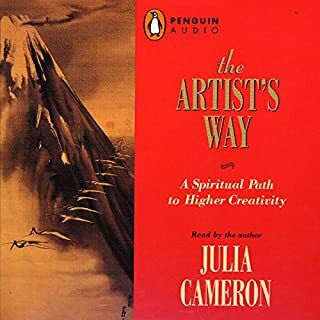 She did give a nod to Julia Cameron's THE ARTIST'S WAY, a book I loved and used when it came out, but this author's book doesn't hold a candle to that classic. The religious aspect others mentioned was incidental and didn't bother me that much. But every time she said "Dear God..." it sounded like a demand. Perhaps a different narrator could have brought out the content in a friendlier manner. This is a challenging review for me. I find myself wholly and emphatically accepting many aspects of this book: You cannot hear your soul unless you know how to listen, and listening takes a stated intention. I believe the author offers outstanding advice on how to do this. However, other aspects of the book I find myself rejecting outright, and taking umbrage with. These include many of the examples offered of responses to soul questions: One participant stated she wanted sunglasses, and lo, the very next day, she won $150 Ray Bans. In the end – I found true value in the book. The reading was strong. I would recommend it to others. The reading was smooth and consistent. What did you learn from Writing Down Your Soul that you would use in your daily life? At time the book felt male-phobic. The vast majority of protagonists are divorced females, with the antagonists described as ex-husbands, fathers and male teachers. I don’t feel this was intentional; but it was a fairly consistent theme. I used to journal every day as a way to savor the good and to transform the not so good. I picked up the audible.com version of Writing Down Your Soul to help remind me of the value of journaling, and found it very effective. There are some elements of the book that didn't resonate for me but like other reviewers, I recommend ignoring the elements that don't work for you and mining the gems that are useful. About halfway through the book, the author provides a long list of questions one can ask him/herself to trigger writing during a journaling session -- this list of questions is comprehensive and worth the price of the book alone. If you could sum up Writing Down Your Soul in three words, what would they be? I followed Janet Conner's instructions and the results have been amazing. Well worth reading over and over again. What made the experience of listening to Writing Down Your Soul the most enjoyable? I enjoyed advice about writing to unlock communication with the "voice", and how daily practice would unlock a mystical connection to a source of information. If you’ve listened to books by Janet Conner before, how does this one compare? I occasionally felt that the side story, and some suggestions would derail the book, yet it always stayed on track. Repetition of the phrase "write down your soul" was very effective, and kept me focused. The author's suggestion to ask the "voice" the right questions was profound and surpassed the primary scope of the book. This and other suggestions like it, made it a very informative and satisfying read. Need to relisten this one again. Would you consider the audio edition of Writing Down Your Soul to be better than the print version? Not better, possibly, I ached for a place to underline certain passages. But I tend to listen to audible books as I drive, exercise or do other things. What was one of the most memorable moments of Writing Down Your Soul? Several AHA moments that occurred through the book that coincided with my own experiences. Very nice speaking voice, not my inner voice, and it was good to hear a female voice for a female author and not a male trying to speak in his concept of a female orientation. Well, I did listen to this almost like I do fiction trying to get through all of it. But I may listen to it again a bit more slowly, or even buy the print version. 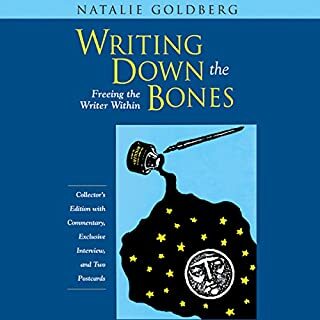 I had read Writing Down the Bones some years before and have been trying to do a daily writing practice, so this book was a great reinforcement for that when I was starting to wane a bit. We seem to either be distilled to stronger stuff by life pain or broken. I do feel that we receive guidance if we are open to it. I also seem to get benefit from the daily practice, and sometimes it is not the coherent pages that give me the most benefit or peace. I had a bit of trouble with the benefits that were wish fulfillment, but only because it did not exactly jibe with my own experience. I do seem to find things that align with my interests at times, but not to the extent that it occurs in this book. Still as a another writing as practice book it is a good intro or extension of the concept. I am grateful for reading it now. useful tool for spiritual practice, unbiased! Yes, the chapters with the steps and the results of studies on neuroscience and writing very informative and useful. The first few chapters are her story (I usually care very little about peoples drama's no tv, no gossip), however she uses her story as a part of the teaching, her journey and even the description of emotions are helpful for understanding and does not sound like a selfie as some reader stated (totally missed the point). Not very many writers can be so authentic and it shows, how her method gave her the ability to see her situation objectively, which is important for healing and spiritual growth. As a very impatient listener I absolutely see the purpose of her story here. the scientific facts and the simple guidelines for practice as well as the writers personal insights reflecting many of our lives. The numerous truths she expresses sounds like it really is her experience and her words, not like many others who sound like they quote others left and right without indicating so, and there are many out there they all sound like the same old law of attraction, spirituality sensations. Check out the studies and results on soul writing, middle of the book conducted independently from her book, very interesting to know if you are into quantum physics and neuroscience. The writer emphasizes the neutrality of spiritual methods and does not single out religions nor does she call for a certain one. She mentions her strict catholic background and shows how she evolved to a much deeper understanding for spirituality, even though her way to start her practice is Dear God, she encourages to use any package and form you are comfortable with to communicate with the divine, not at all like those "praise the lord hmm... people". Very mature, great listen! Even if spirituality and religious references are not your cup of tea, try to see through them: the practical, wise, useful advice at the core of it applies to most people. It will at least give you a few more ways to improve and enrich your writing habits. I would recommend this book to anyone who wants to get in touch with their inner voice. Take heed to the questions and list them down. Awesome book!!! Recommend to anyone who journals or wants to expand their journaling to look into themselves. Interesting, informative and helpful, great advice Narrator has nice, easy to listen to voice. Grateful.